BOSTON– LeBron James had a poor performance in Game 1 of the Eastern Conference Finals to say the least. He scored just 15 points on 5-of-16 shooting from the field, was 0-for-5 from long range and committed seven turnovers. Throughout his career in the playoffs, whenever James has a poor game like he did in Game 1 against Boston, he tends to come back with a vengeance. The most recent example was in Game 2 of the Cavs’ opening round playoff series against Indiana. James put up a triple-double in Game 1 against the Pacers, scoring 24 points, grabbing 10 boards and dishing out 12 assists– but he shot just 7-of-17 from the field and it took him 11 minutes to even put up a shot attempt. In Game 2, however, he put up 46 points and scored the first 16 Cavaliers points. Despite however many performances he has had like the one described above, he isn’t content to sit back and rely on his own personal history for the second game against Boston. Cavs center Tristan Thompson is aware of James’ tendencies to have these bounce-back games; however, he too isn’t counting on a herculean effort heading into Tuesday night. 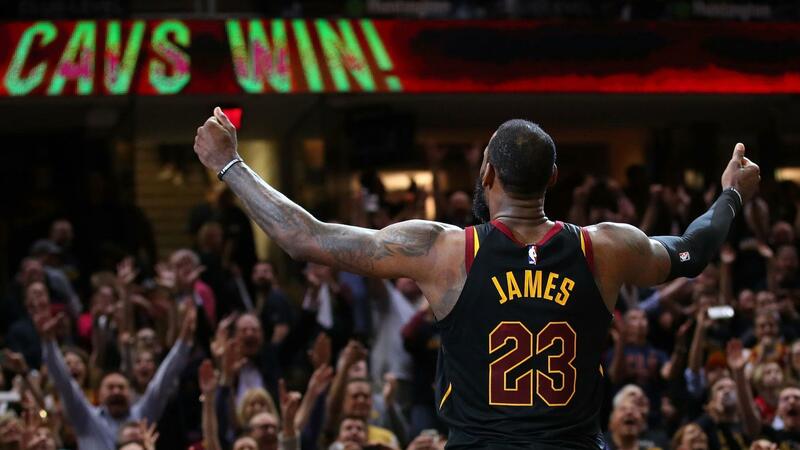 It is arguably the best possible thing for the Cavs not to rely on a colossal performance from James on Tuesday– without that reliance, everyone from James on down should be playing with more of a sense of urgency than they did throughout Game 1. Game 2 kicks off at 8:30 p.m., while the NBA Draft Lottery takes place at 7:30. Both will air on ESPN.